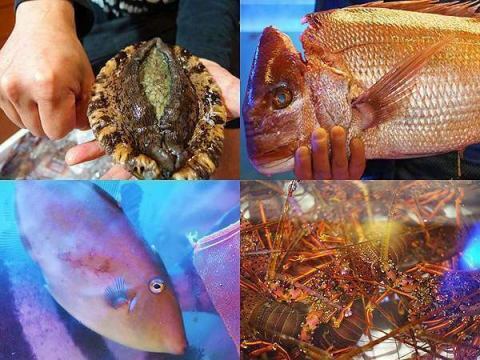 Natural black abalone, natural Ise shrimp, you can enjoy the delicious seafood in plenty, plenty of luxurious local fish which was taken landing at the local "Enoura Fishing Port". 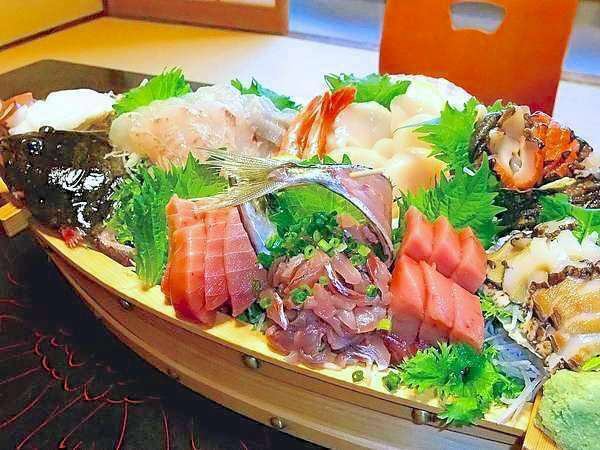 We will sashimi to ensure you satisfy, but the content will change according to the season and purchase situation. 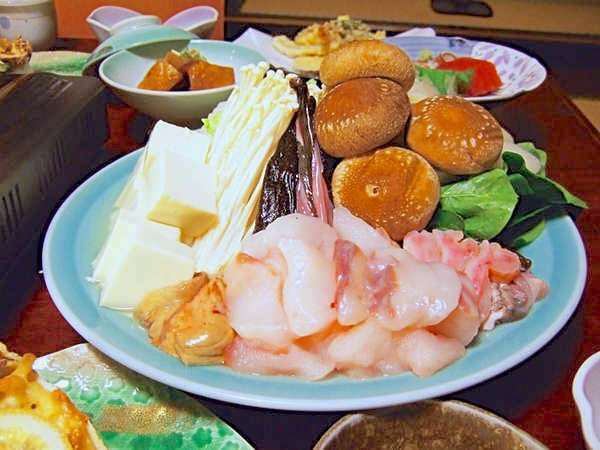 You can enjoy the fish taste to the full, mainly fish seafood which was taken off at the local "Enoura Fishing Port". This grotesque creature lurks in the bottom of the Japanese sea and is waiting for you. Start with seven Foie gras called sea liver, seven tools of willow (body), kawa (kawa), water bag (stomach), Nuno (ovary), Ella (gills), Tomo (tail, pectoral fin) The pot soup used without it is the best delicious as you can think that it is a waste to leave. 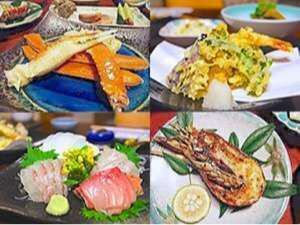 It is a dish that you can taste the fish taste to the full, mainly with an enkobo that was landing at the local "Enoura Fishing Port". 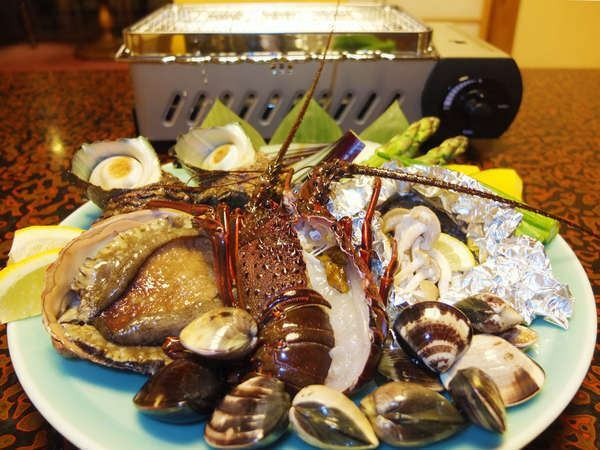 Do you know the taste of seafood through fire? 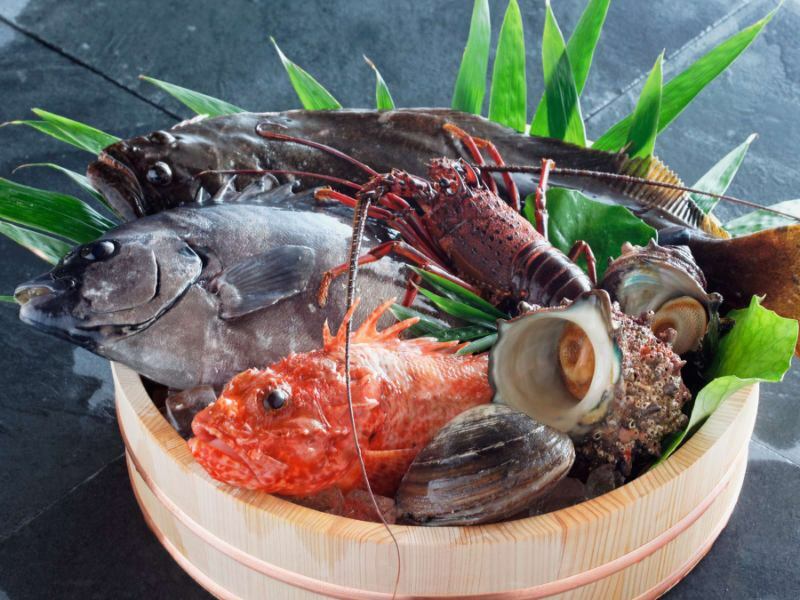 , Freshly picked fish, shellfish, shrimp and so on are sashimi and want to eat something called humanity.However, it is wonderful that umami is activated when it comes through fire This is it. 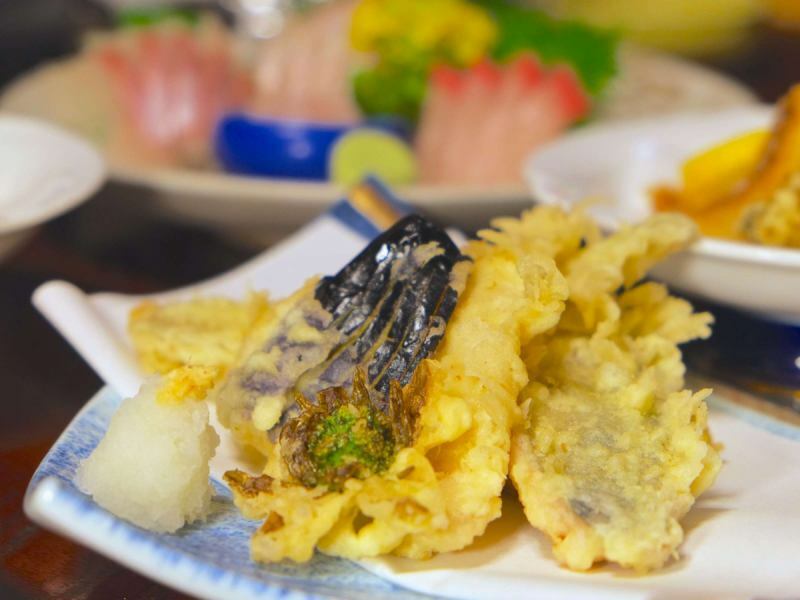 You can enjoy one dish of the center vegetable center, the second dish of the center of the seafood, and mainly the tempura which is best fried. 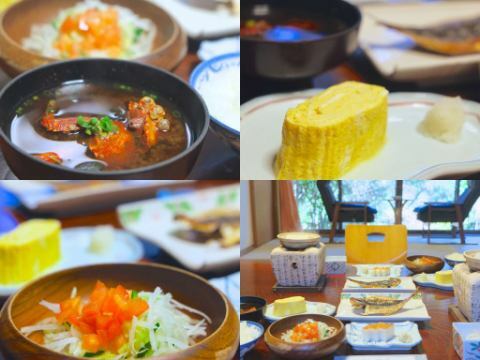 Freshly made breakfast.In the miso soup of red miso soup, other other egg dishes, fish dried by other horse mackerel.I am passionate about materials, but I am enthusiastic about what I can do. As with the basic dinner, breakfast is served from the room. It will be provided at 8:00 start, 8:30 start and 9:00 start. Fresh seafood such as gourd, dragonfly and octopuses that flower and bird garden has enthusiasm put importance on freshness taste. We prepare ingredients with skill judgment such as activating tightening according to the kind and situation of fish, carrying directly to the fish preserve of flower and bird garden. Everyone please enjoy lots of luxurious cuisine better than anywhere ~!